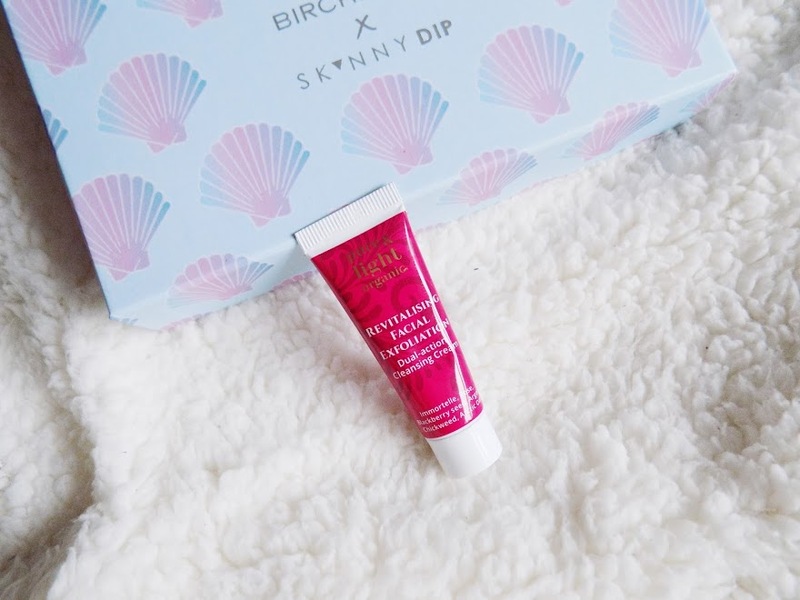 This months Birchbox was a collaboration with a blogger and celeb favourite brand Skinny Dip, and they brought some amazing products. 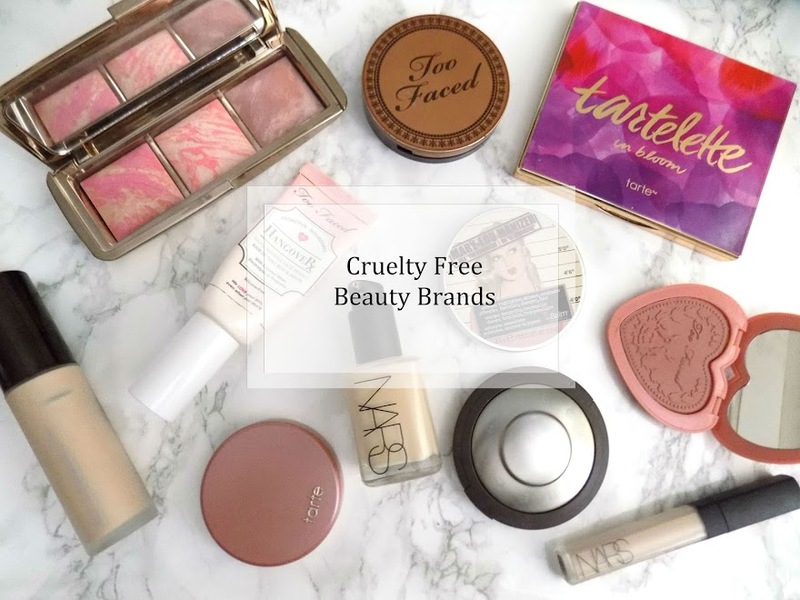 They've also given a £10 any £24 or more purchase discount code which is Birchbox so you can check out and try more products from the brand. 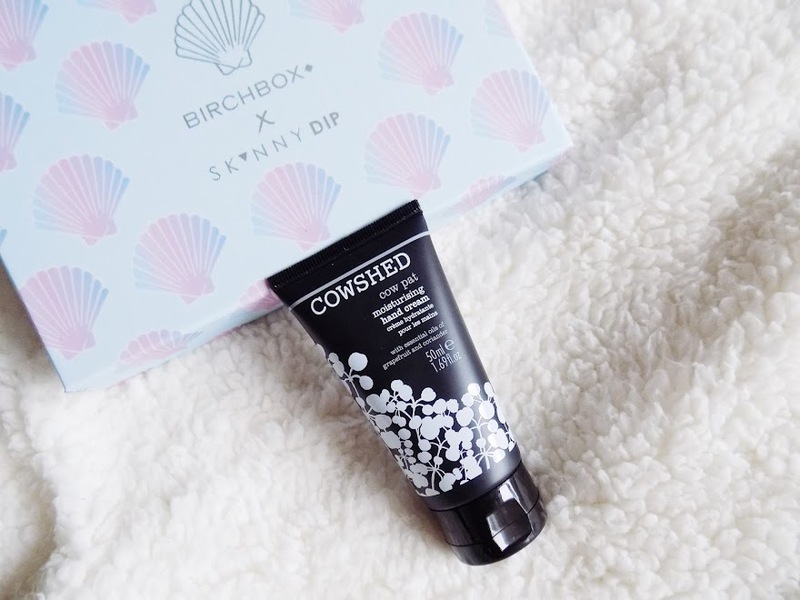 I think this months box is a great one and if you aren't already subscribed to Birchbox then now is the time to sign up if you want a phone case and to try out some awesome beauty products for just £10 (+ shipping). 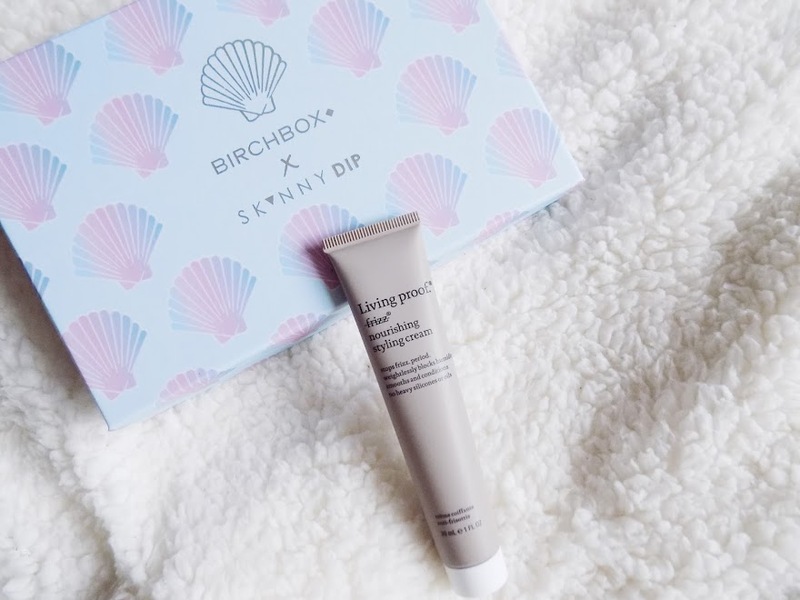 First of all I wanted to show you the upgrade that was made available to all Birchbox subscribers this month. Because the box was a collaboration we had the option to upgrade out box to include a phone case in which normally has a value of £12, and we were offered it for only £4. Look at how beautiful it is. 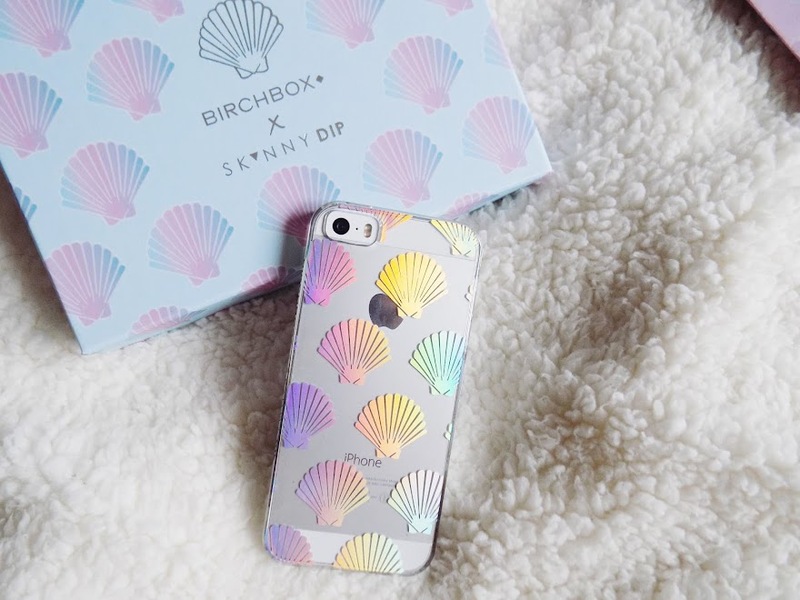 It's a clear case (Can choose what model your phone is) and it has iridescent shells on it which change colour in the light. I love this case and I have even taken off my absolute favourite rose gold metal case to have this one on for a while. I love that these subscription boxes give you the opportunity to upgrade and choose what's in your box. I was really excited about getting this in this months box as I love the Living Proof products that I've tried. This is a lotion that creates a weightless shield to fight off humidity and leave your hair smooth and sleek no matter what the weather is like outside. This sounds like an awesome product and will definitely update you on my thoughts in next weeks round up. 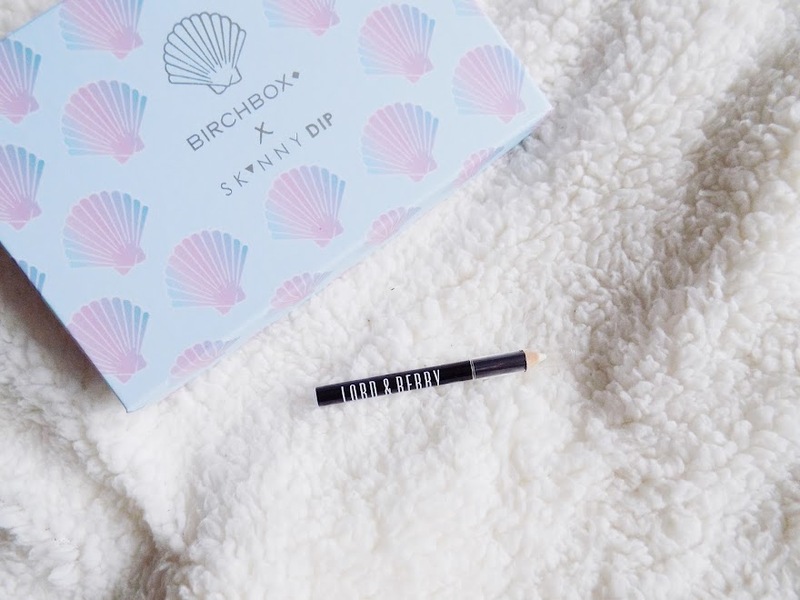 Next is this lip liner which is actually translucent, so it will prevent bleeding and be suitable to use no matter what lip colour you're wearing. Awesome concept, I hope it works as well as they say as this could be something incredibly handy to have in your handbag or at your desk or whatever to keep your lip colours looking their best. I wonder if it increases the longevity of your product? Will have to test that one out myself as I can't find anything about that on the Birchbox site. This is such a funny product. Who wants to put a product on them that is called cow pat? But actually this is a super nourishing hand lotion, packed full of essential oils to keep your hands moisturised and toned. Never heard of this brand or product before but this is a pick me up for your complexion when it's feeling a little down in the dumps, as it uses almond, apricot oils and vitamin E to nourish and soothe dehydrated skin which is perfect for this time of year. Will definitely be giving this a shot. Although I don't like to try too many new products on my skin at once otherwise it tends to freak out so these might be used at a later date. 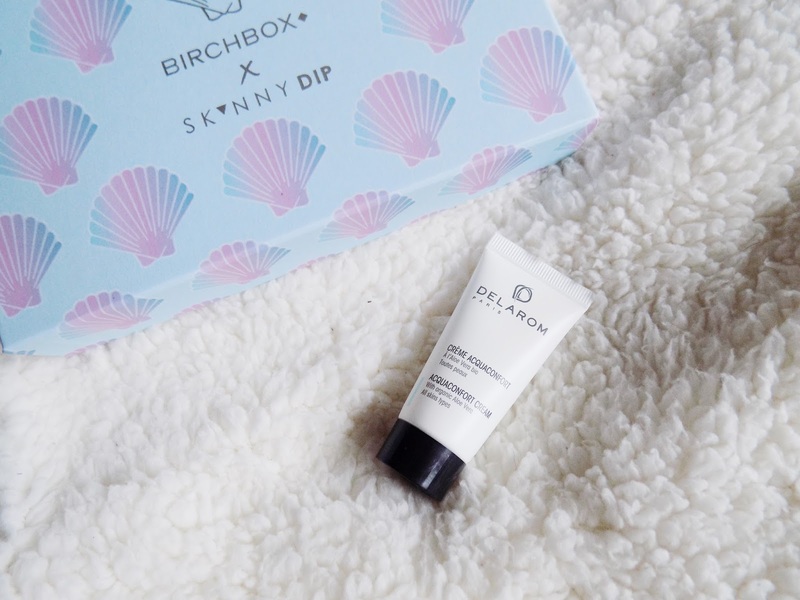 Next is a gentle exfoliator which has 32 active ingredients to smooth the skin and give you a radiant and glowing complexion. What more could you ask for? 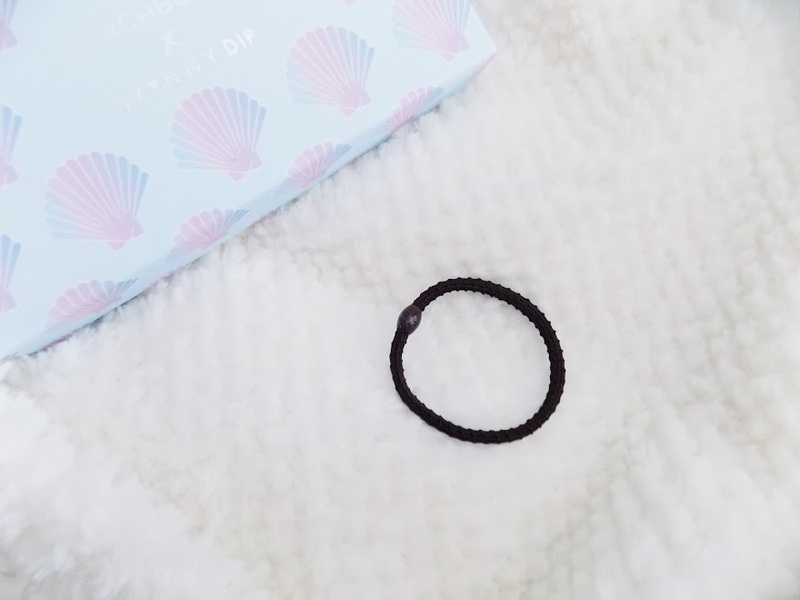 This is thrown in here as an extra but this is a hair tie which is metal-free and holds your hair securely in place. U hate hair ties that are weak and don't actually hold your top knot or ponytail or whatever. But this one sure does and it's pretty expensive for some hair ties considering the hair tie and bobby pin fairies come and steals them in the night when we're asleep. ** Disclaimer - There are no affiliate links or codes in this post, Birchbox do not know I am even doing this and I don't get paid if you use the links or discount codes. All opinions are my own and are 100% honest.